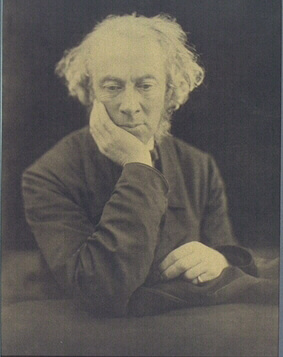 Aubrey Thomas de Vere (1814 - 1902) was an Irish poet and critic. He attended Trinity College, Dublin, and was influenced by the astronomer, Sir William Rowan Hamilton, who introduced him to the great poets William Wordsworth and Samuel Taylor Coleridge. de Vere delved deeply into question about faith, studied the Roman Catholic Church, and became a professor at the Catholic University in Dublin. Many of his poems are devotional in nature, all maintain a high seriousness. We feature his works, Serenade and Sorrow . William Butler Yeats de Vere's poetry as having less architecture, more meditation. He was characterized as one of the most intellectual poets of his time, and maintained a thin, graceful, and high mental state throughout his long life.